← Enter your doodle in the National Doodle Day competition! Do you (like many of us) find it challenging to keep your household in tip-top condition, especially with multiple people in the house? The secret is for everyone to do their part in the housework. To accomplish this it’s important to keep everyone on the same page (literally!) when delegating duties. 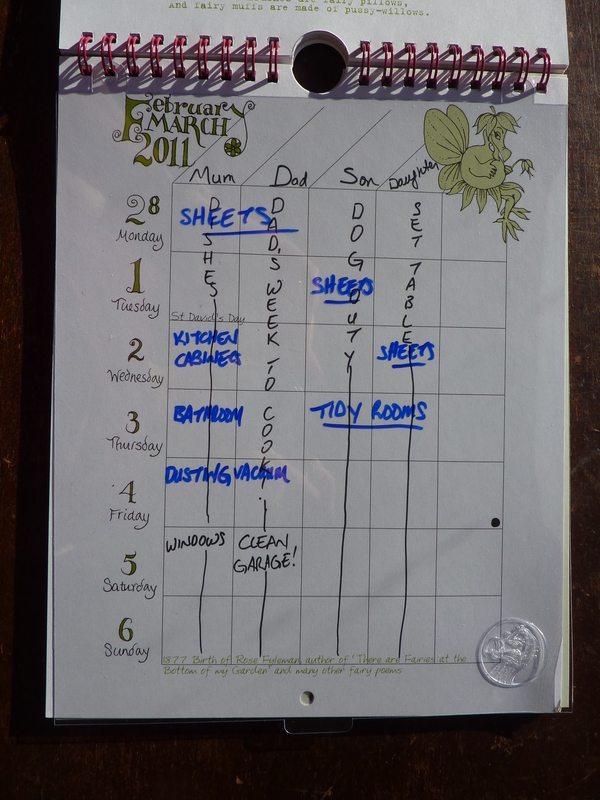 Once again, Lord Dodo has an ingenious method for sorting chores and keeping everyone informed: use a Dodo Wall Pad as a chore chart! 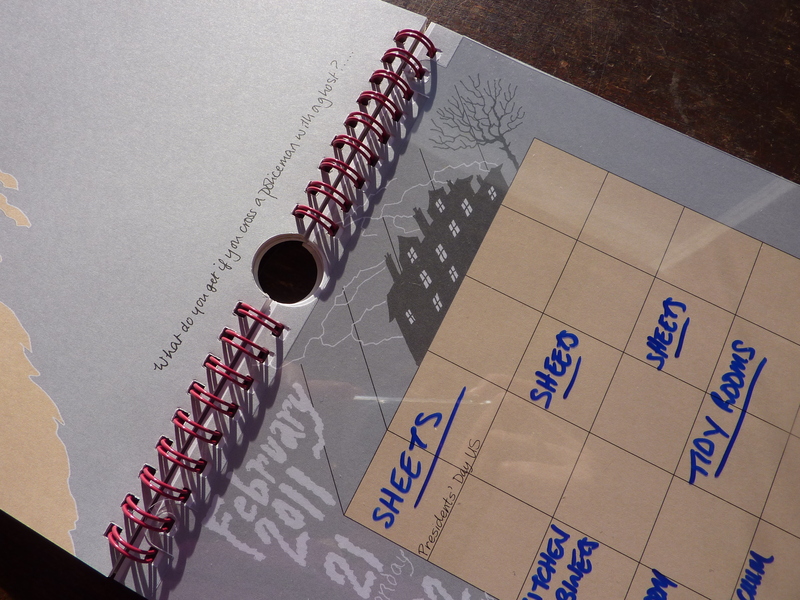 Combine the weekly recurring with daily specific chores, and everyone knows what they need to do each day! The result (in principle!) is a smoothly-running household. 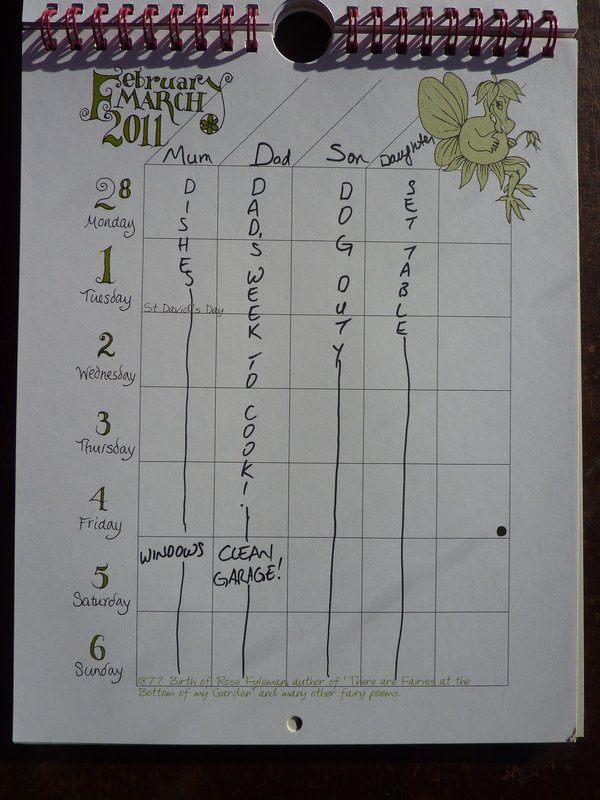 Hang your Chore Chart in the kitchen near the fridge, or somewhere easily seen by everyone in your home. 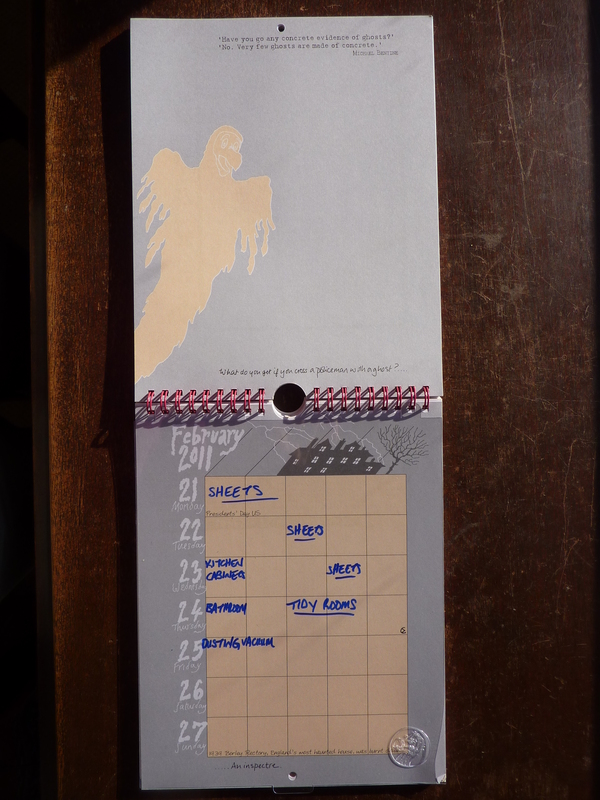 No more excuses for shirking duties, due to being uninformed! This method works extremely well for flatmates too: everyone knows what they are expected to take care of each week, preventing communication breakdowns and inevitable irritation. The house is clean, and everyone’s happy! How do you use your Dodo Wall Pad? Please do post a comment and tell us all about it!